Lyoto Carvalho Machida was born on the 30th May 1978, in Salvador, Bahia, Brazil, of Japanese (father) and part- Portuguese and Italian (mother) descent, and is a mixed martial artist, best known to the world for winning the UFC Light Heavyweight Championship title. His career started in 2003. Have you ever wondered how rich Lyoto Machida is, as of late 2016? According to authoritative sources, it has been estimated that Machida`s net worth is as high as $4 million, earned through his successful career, during which he has recorded 22 wins and seven losses. Lyoto is one of the sons born to Japanese Shotokan karate master Yoshizo Machida, and his wife, Ana Claudia. From the age of three, Lyoto was thrown into martial arts, and10 years later he had progressed to earning his black belt in karate. 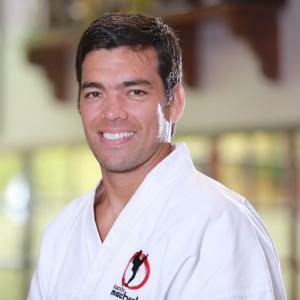 Before he became professional, Lyoto became quite well known in amateur ranks, winning several tournaments including the 2001 Pan American Karate tournament, among others, and then learning Muay Thai in Thailand. In 2003 he made his official professional debut against Kengo Wtanabe, which he won by unanimous decision. He continued in the same rhythm, moving to a 15-0 record by defeating some of the most famed fighters, including Stephen Bonnar, B.J. Penn, Sam Greco, Vernon White, Sam Hoger, Kazuhiro Nakamura, Thiago Silva and Rashad Evans, winning the UFC Light Heavyweight Championship from the latter. He then defended his title against Mauricio Rua, however, he lost in their next clash, which Rua won by KO. He then lost one more duel, this time to Quinton Jackson, but bounced back against Randy Couture, for which he was awarded Knockout of the Night honors. Inspired by this victory, Lytoto challenged UFC Light Heavyweight Champion at the time, Jon Jones, however, he lost by KO in the second round. Lyoto continued with mixed results, and switched to Middleweight, defeating training partner Mark Munoz by KO, which won him his fourth award of ‘Konckout of the Night’, and then and fought against Chris Weidman for the title, but lost once again, by unanimous decision. His last victory came against C.B. Dollaway, for which he received Performance of the Night honors. However, in early 2016 the UFC banned Lyoto from the association, because it was discovered that he was using a banned substance allegedly for better performance. Most recently, he has returned in a grappling contest against Jake Shields, which he lost in the final round. Regarding his personal life, Lyoto is married to Fabyola, and the couple has two children, both sons. 1 Suspended by USADA for 18 months for taking a controlled substance. 2 Unknowingly took a banned substance. 5 Other Black House MMA team mates include Pedro Rizzo,Andre Galvao, Jose Aldo, Fabricio Camoes, Antonio Rodrigo Nogueira, Rafael Cavalcante,Antonio Rogerio Nogueira,Eduardo Pamplona, Thales Leites, and Rafael dos Anjos. 6 Won the UFC Light-heavyweight championship on May 23, 2009, after knocking out Rashad Evans. 7 Was discovered by Pro-Wrestling legend Antonio Inoki whose brother is a close friend of Ryoto's father. 8 His younger brother, Shinzo Machida, is a former MMA fighter. 9 Is the son of a Japanese Karate master specialized in Shotokan style. 10 Was a Sumo champion in Brazil. 11 Left Office Inoki to form The Black House Team alongside Vale Tudo legends Anderson Silva, Carlos Barretto and Assuerio Silva. 12 During his time at Office Inoki, Ryoto was trained by Vale Tudo legends Wallid Ismail (Brazilian Jiu-Jitsu) and Marco Ruas (Muay Thai) and by New Japan Pro-Wrestling legend Kazuyuki Fujita. 13 One of his Karate workout consists of hitting a solid wooden board with his bare-knuckles for an hour. 14 Is fluent in Portuguese, Japanese and English. 15 Is half Japanese and half Brazilian. 16 Holds significant wins over some of the toughest fighters in MMA. Among others: Sam Greco, BJ Penn, Rich Franklin, Michael McDonald and Tito Ortiz.